The BCCCB is all about British vehicles. 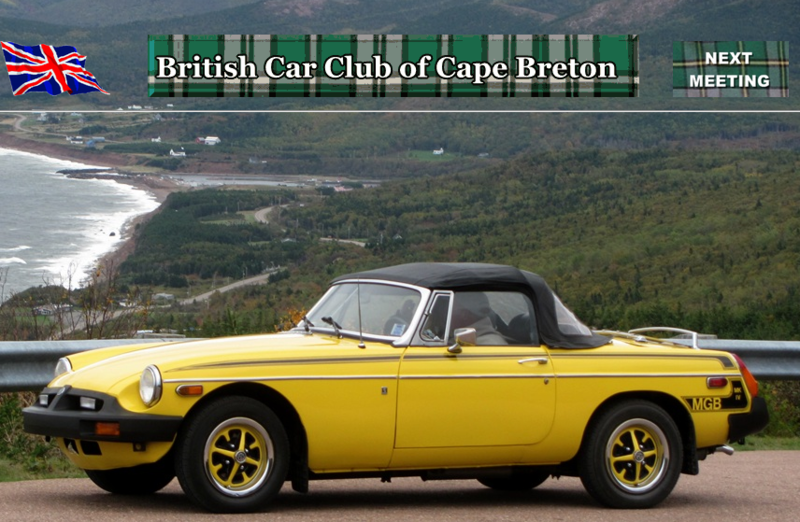 Five British car owners met over coffee about twenty years ago and formed the British Car Club of Cape Breton. Since then, the Club has grown to 35 members with over 53 British cars. We have a variety of cars and welcome British vehicles of any age. By participating in local events, shows and fundraisers our Club cars assist community groups with their activities. We also organize local day trips and travel to British car shows in Atlantic Canada. There is a monthly dinner meeting every third Monday from early fall to late spring, alternating between Sydney and North Sydney. From May to October the Club Calendar becomes filled with a variety of activities. Anyone requiring further information on the Club and its activities, click Contact Us to send an email.